any MPs or MCA leaders with a blog? I've been a regular reader of Kit Siang's blog ever since he started one in August. Although I'm a pro-government, I think his blog is very informative and sometimes rather controversial. In fact I do buy some of his ideas and comments based on his intelligent arguments. However there are also times when I felt his arguments are merely his own propaganda. Whatever it is, there is no doubt that the blogosphere is a good place for politicians to buy votes and gain support from the public. How I wish local MPs or MCA leaders will start their own blogs too so that I can slam them back with complaints. Maybe they don't need a blog because there is nothing to mention about. I beg 8TV, please, no more Malaysian Idol if you can't produce a winner with good quality singing and performance. Ahmad Izham and the judges said Daniel's winning is healthy for the music industry as he has a large followers to vote for him (1.2 million votes for the grand final to be exact). I thought he sings 'Mimpi' awfully until the level I have to switch to other channel because I was so worried and embarassed for him. One of the caller during the press conference asked, how is he going to represent Malaysia in the World Idol? I certainly believe he doesn't have the voice to represent Malaysia in the international level. Poor Daniel. Instead Nita did a great performance. I am certainly proud of her. She is elegant and she definitely has that 'diva' look. She's going to be a successful singer if she can come up with a great album that suits her personality. Too bad that most of her fans are in the 20s and above. We love her but we don't waste our money to buy votes (it is religiously and politically incorrect). 8TV must understand that 50 sen per vote is expensive (nowadays sms only 1 sen) and rational adults don't vote. Those who vote are especially young girls aged below 18. This again proved that last night result doesn't represent the 'Malaysians voice'. 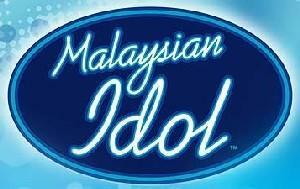 I believe soon Malaysian Idol is going to end up like Akademi Fantasia whereby guys win every season. And not to mention the rise of fanatic fans who only vote based on looks and not talent. If this is the case, I urge 8TV to come up with other reality shows instead.